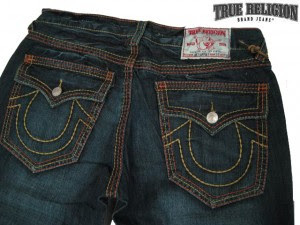 True Religion jeans have uniquely shaped pocket flaps on both back pockets and the front coin pocket. 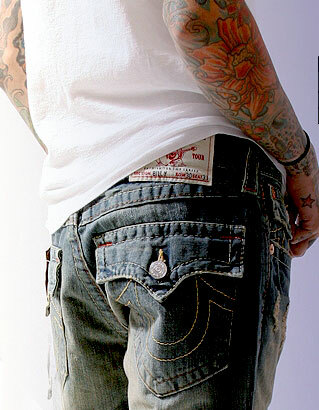 Their uniqueness comes in the shape of a well-defined downward point in the very center of the flap with well-defined curves extending upward and outward toward the edges of the pocket. 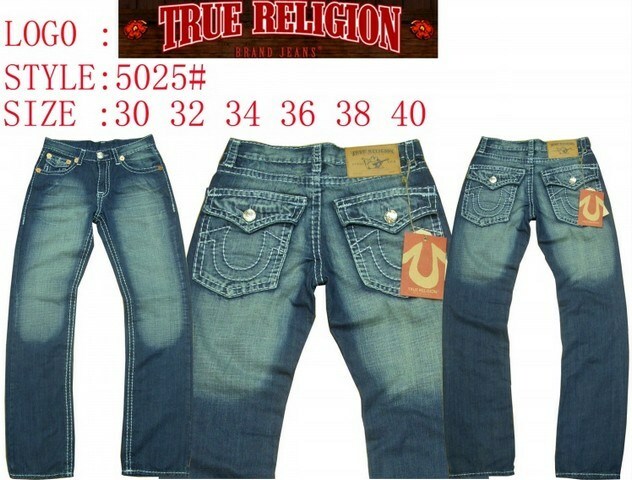 Fake True Religion jeans seldom have this design, but rather mildly curved cuts and sometimes even straight cuts.